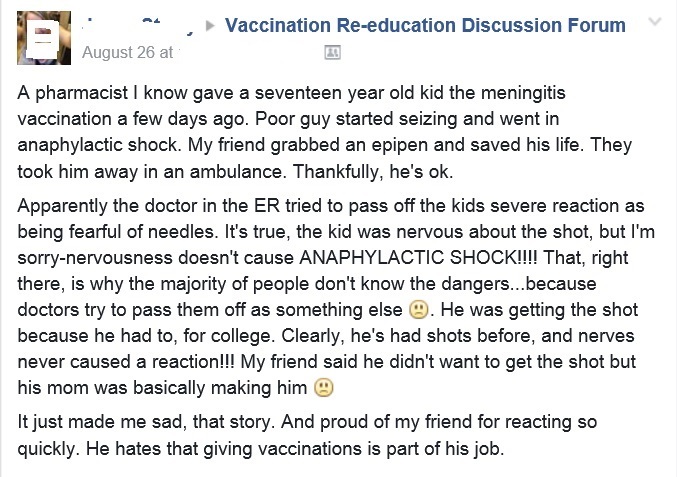 A number of stories can be found here at Nurses Against Mandatory Vaccines on Facebook (main page here). Dr. Tenpenny discusses the future of vaccines, she addresses adults; adult vaccine mandates, new parents, how doctors are educated, how the illnesses used to be perceived as mild illnesses and advice for new parents. Mentions Hep B is related to GERD. 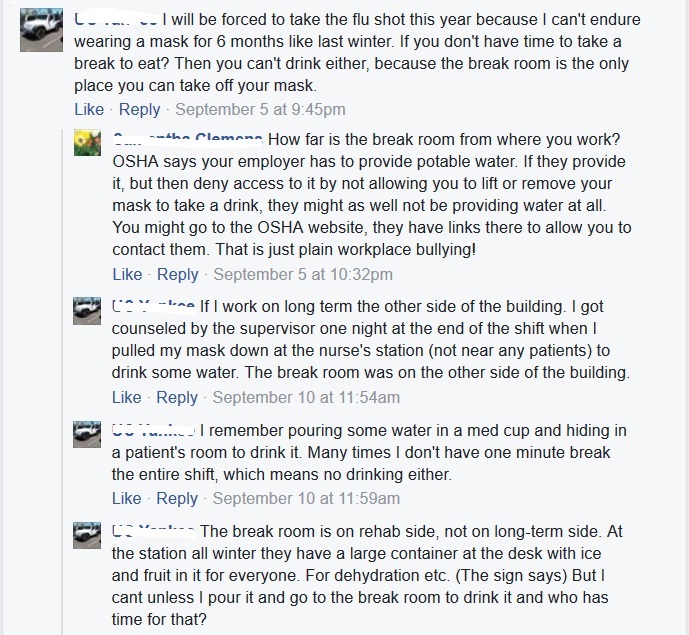 Former pro-vaccine psychiatrist talks about how the ER treated them like they were crazy. 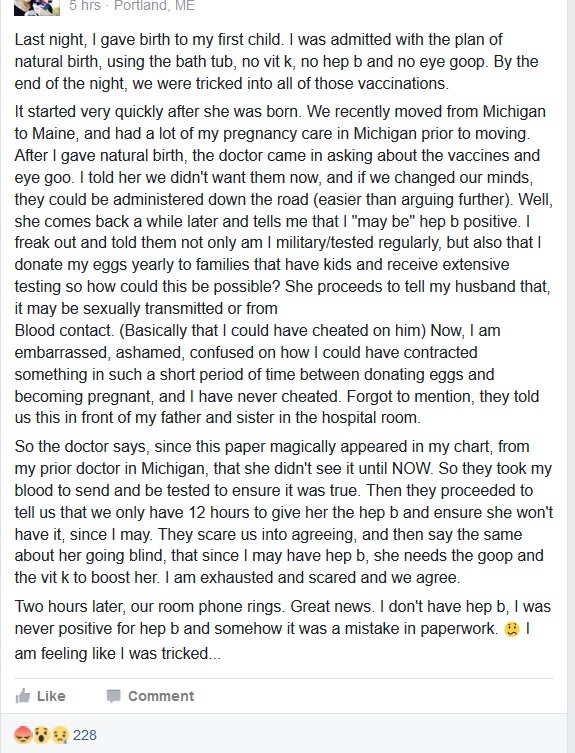 The ER doctor said that test results came up empty, but when she got his records, she discovered that they had lied to her (they didn’t tell her he was suffering from brain swelling). 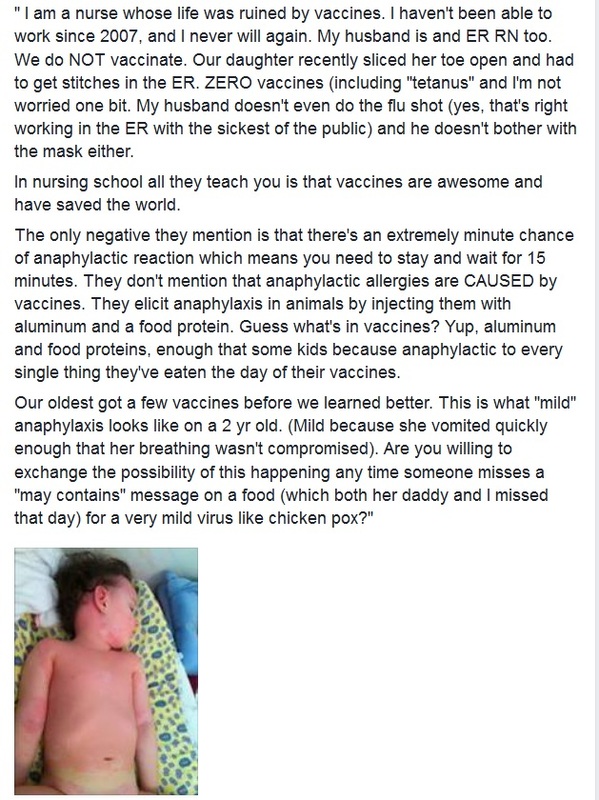 Pro-Vaccine Nurse Practitioner reports how her children were vaccine injured (Vaxxed) and discusses the safety issues with Gardasil. 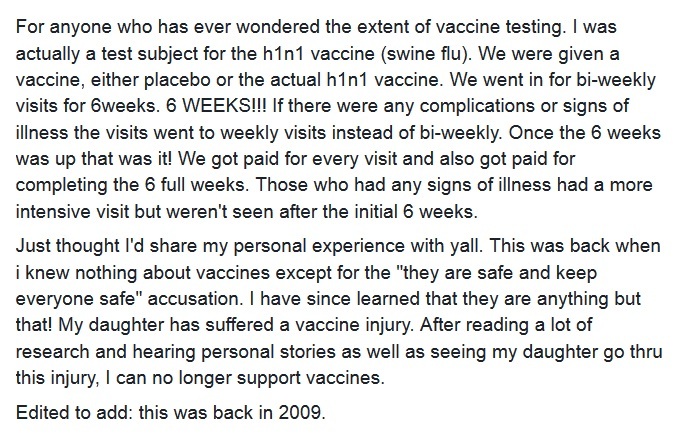 Former assistant to a holistic doctor that was a vaccine researcher reviews Vaxxed. 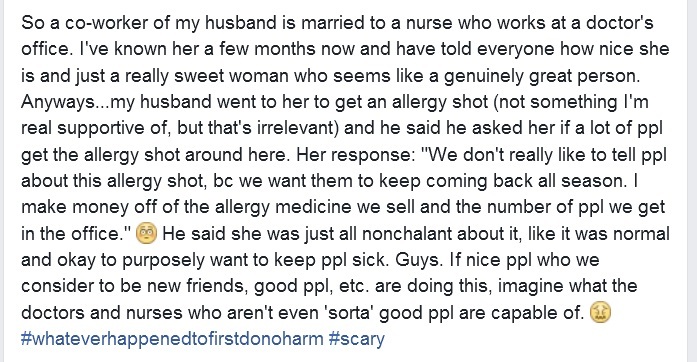 Woman tells her Practitioner about her 6-week hospitalization after the flu shot, and how MTHFR genetic mutations predisposes to vaccine reactions.